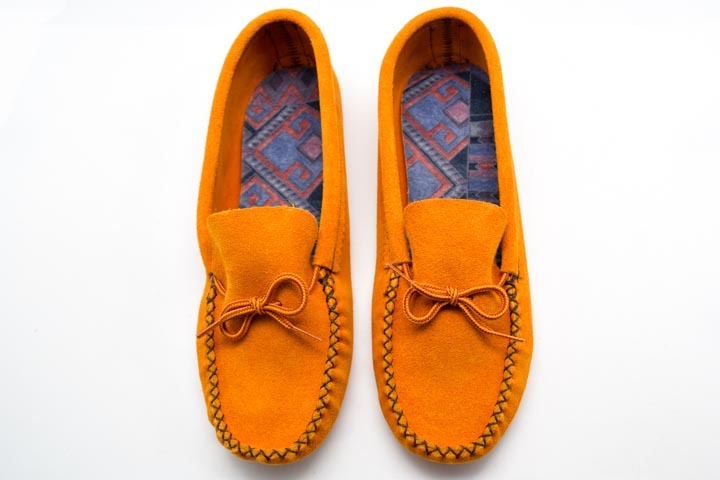 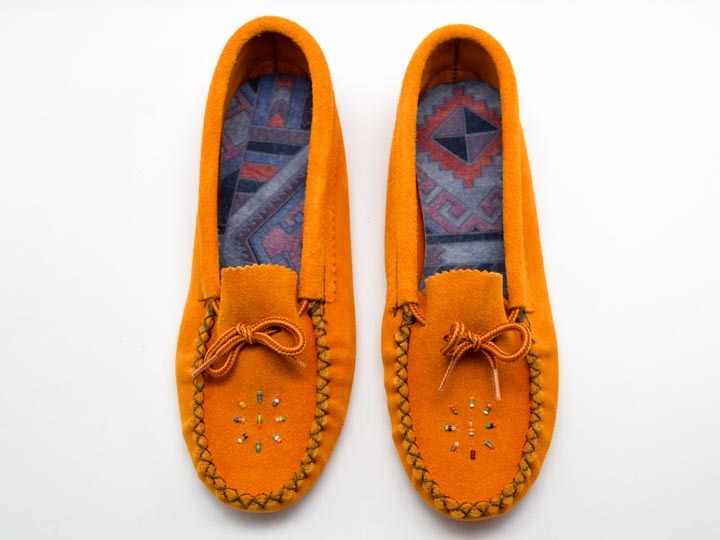 These moccasins are made with cow suede leather. 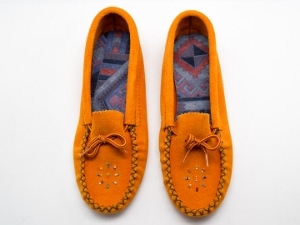 They come in Women's sizes 4-10 and Men's sizes 6-13, in full sizes only. 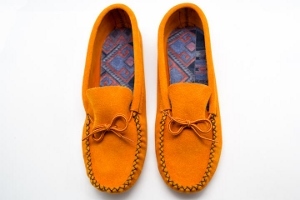 If you wear a half size, order the next size down as the leather will stretch over time.